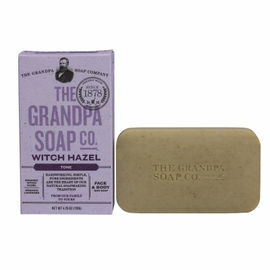 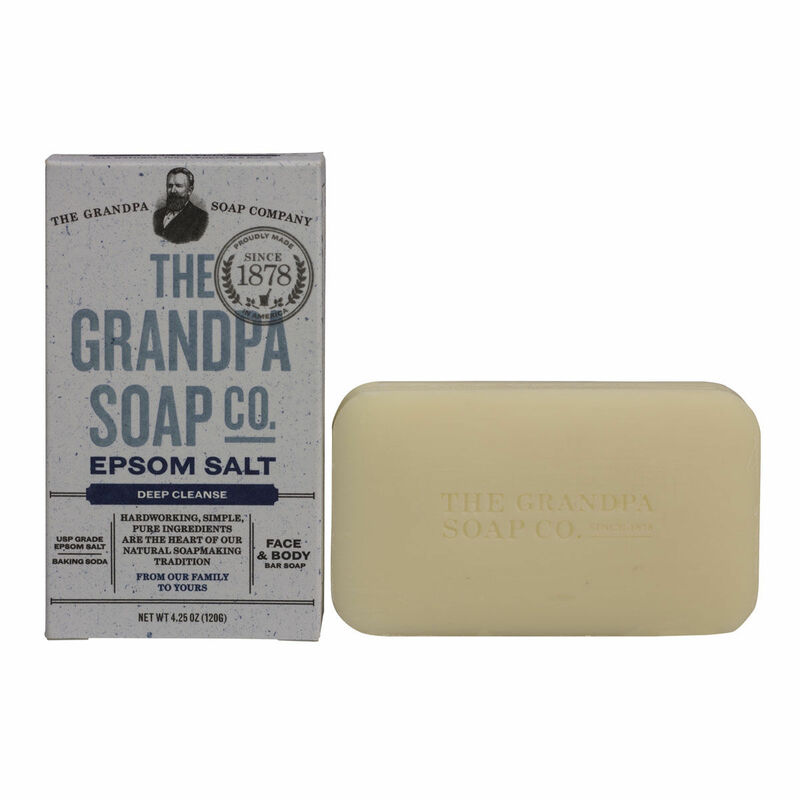 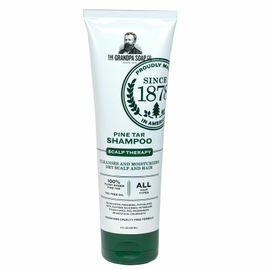 Grandpa's Epsom Salt Soap is a gentle soap for everyday use, ideal for a deep cleanse. 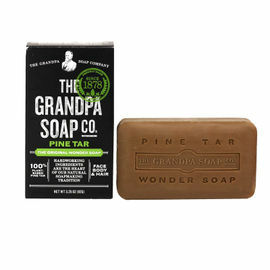 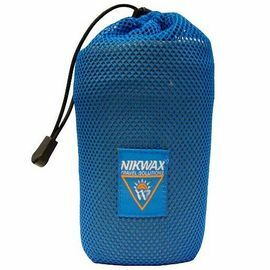 The pure epsom salt and baking soda work double duty to remove even the most challenging dirt, grease and grime and leave skin feeling cleansed and soothed. 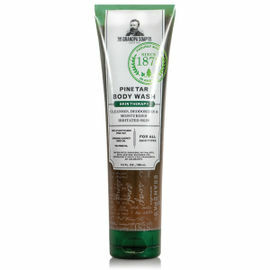 Ingredients: Sodium Palmate, Sodium Cocoate/Sodium Palm Kernelate, Water (Aqua), Glycerin, Magnesium Sulfate, Sodium Bicarbonate, Natural Fragrance (Parfum), Eucalyptus Globulus Leaf Oil, Citrus Auranitium Dulcis (Orange) Peel Oil, Mentha Viridis (Spearmint) Leaf Oil, Sodium Gluconate, Citric Acid, Sodium Chloride.